He has been a part of some of the most popular Hindi films made in the recent times and is widely regarded as one of the best actors around. 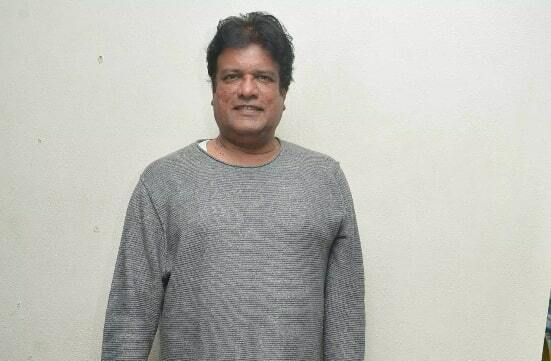 Rajesh Sharma was born in Punjab, was active in the theatre circuit in Kolkata for several years and finally took the plunge in the Hindi film industry. In this exclusive interview, he clears the air about a wrong piece of information floating about him on the internet, talks about his new film ‘Facebook Wala Pyar’, why he is not active on social media and the desire to turn director. Did you start your journey in films with ‘Maachis’? No, that is a wrong piece of information floating on the internet. The first film I shot for was ‘Khosla Ka Ghosla’ but my first release was ‘Parineeta’. The former got delayed and released next year in 2006. You are doing multiple films every year. Do you think you have got your due as an actor? People call you when you get recognised. Very few people get success instantly. Tell us something your role in ‘Facebook Wala Pyar’. I am playing a lawyer in the film. He is the father of the protagonist, played by Rahul Bagga. He is not aware of Facebook and other things which the younger generation is well-versed with. Do you think Facebook is a good place to find love? There are several benefits of being on Facebook. You find so many old friends, whom you had lost touch with, on Facebook. Of course, you need to be careful about whom you are engaging with on social media. No, when we were younger we did not have these things at our disposal. Even cell phones were not there. So, we never got habituated to these things. Don’t you think social media is an important tool to promote yourself? I never thought about it. I have always tried to stay away from promotions and publicity. I do not believe in marketing myself. I feel if you do good work, you will get automatically noticed by people. You just mentioned that ‘Khosla Ka Ghosla’ was the first film you shot for. The film was one of the first films to be classified as ‘multiplex cinema’. The trend off making middle-of-the-road films has picked up in the last couple of years. What are your thoughts on this? Yes, ‘Khosla Ka Ghosla’ started this trend but it took a while to pick off. Now, more of such cinema is being made as the audience has become more evolved and are willing to watch such kind of content. Earlier, there was not enough support from the audience for such films to be made. Out of all the roles you have played till date, which one has been the closest to your heart? I really enjoyed playing the role of Titu Mama from ‘Luv Shuv Tey Chicken Khurana’. Do you have any plans to get into direction? I would like to direct a film someday. But, I do not have any such plan in the immediate future. I have interesting parts in Nikkhil Advani’s ‘Batla House’ and Raaj Shandilya’s ‘Dream Girl’. We will start shooting for ‘Dabangg 3’ soon. The film should, hopefully, release by the end of this year. I also have a cameo in ‘Mardaani 2’. Four reasons why you need to binge-watch The Insiders this weekend!